One is often tempted to assume that corruption is a victimless crime and one can afford to ignore it. The corruption that protects crime happening beyond our horizon on the vast seas that surround us and on which we hold a flimsy claim, even if it sheds blood, is far enough from our eyes to allow us not to care. That is why it is easy for us to live with what is going on in our waters. There’s an intuitive ambivalence about a so-called scandal concerning under-declared ranched fish, fattened in cages offshore and dodging administrative restrictions that appear discretionary and arbitrary. What’s wrong with selling twice as much fish as one is ‘allowed’ by faceless bureaucrats? 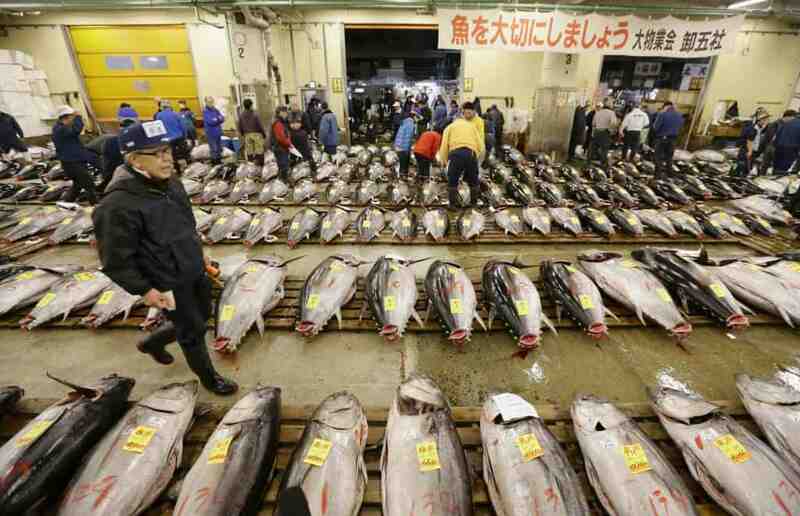 Bluefin tuna has been hunted for food for two thousand years. But over the last 40 years alone its stocks have depleted by more than 80%. It is extinct in some waters it used to be fished in already. It no longer swims in the Black Sea. Technically, by our own definitions, it is not an endangered species. But its survival depends on a limit of some 23,000 tons fished out of the Mediterranean and East Atlantic. Any more and there won’t be any bluefin tuna left. The Spanish clients of the Maltese fisheries regulator were supposed to be set up to hold in their cages 3,000 tons. They were instead equipped to ranch and fatten 9,000. You keep reading and hearing people saying “everyone” knew this was happening for a long time. Why was it allowed to go on? I like my toro nigiri or my maguro as much as the next guy and I would not mind paying less for it. But if there’s one obligation I suppose everyone understands, that would be the desire that after we die, our great-grandchildren would not blame us for reading only of the taste of tuna from ancient books and videos from the early 21st century. These people are not just cheating a system and making an extra buck. They are robbing future generations of the taste of tuna for an extra 25 million a year. Consider that no one appreciates better the danger to the bluefin tuna species than the person who was Director General of Malta’s fisheries department for many years. She sat on many committees of the international organisation that read the science about their stocks and established the limits on their decimation. Clearly, the conscience of someone so well informed will have pricked her. She soothed it by saying ‘you must pay me’. Money was the salve that kept her going, acting against her own instinct. I appreciate the argument that denying future generations good sashimi is shallow. Our moral obligation for the sustainability of other species should not be limited to the ability of our own to eat them. It is the distinct arrogance of humanity to continue to fit everything around the universe within the authority Adam was given to consume everything else. But perhaps it is too optimistic to argue with the greedy — for money or for fresh and raw tuna belly — about our oneness with our ecosystem. Put more starkly, therefore, there are victims of these corrupt criminals. And it’s not just the fish.